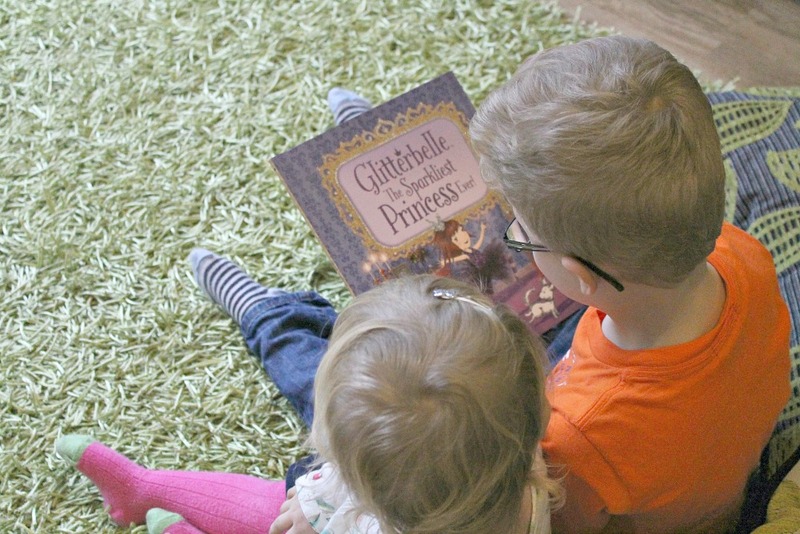 We have long been reading books to our two little ones and it’s one of the many things we enjoy with our children as well as it being so good for them. I have to admit that most of the time Mr P gets to read to them while I make dinner or clean the house up. So when it’s raining outdoors or too cold to play out, I love to sit down and read to them. I love watching the joy they get from each new story told. 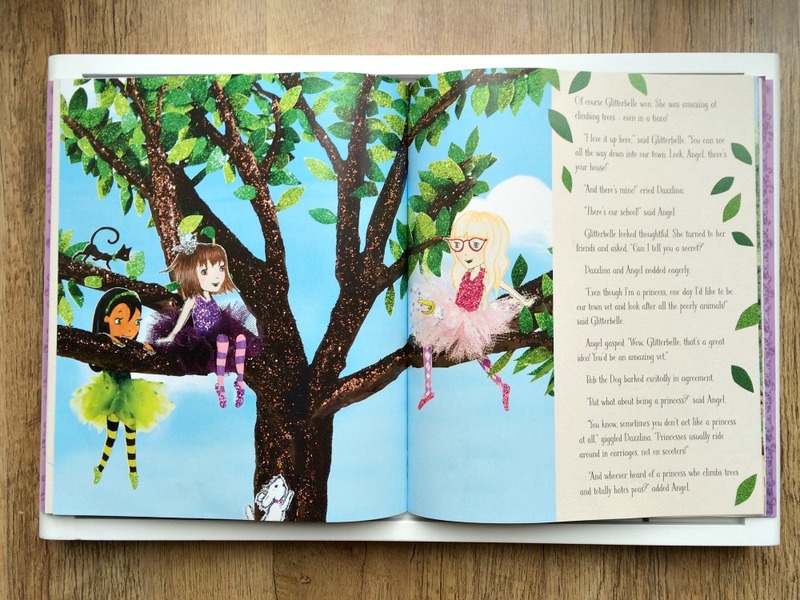 I love the excitement they have over a new illustrated book full of adventure and beautiful pages to pour over. We were ever so excited when we were sent another fabulous book from Parragon Books as part of their #bookbuddies. We love being a book buddy. There have been so many great adventures we have experienced through their books too. In comes Glitterbelle, The Sparkiest Princess Ever to add to our collection with her beautiful glittery pages and her great friends in tow too. Now that the kids are getting older than enjoy the more details books and the longer stories. They are quickly passing those one sentence pages or the fuzzy animals popping out. I really can’t believe how much they have grown up lately. This one is perfect for my 1 1/2 year old and 3 year old whom both love princesses at the moment. Yes, my son loves it too! While I love reading to them, after I have read it back to back about five times in a row, I let them continue to read to each other. They point out various favorite things on the pages while Buba pretends to read to Missy Moo, it’s a great moment together. They are great at sharing turns of who turns the pages and play “what do we see” game with each page turned. It goes beyond just the story of a book when there are great illustrations like these. 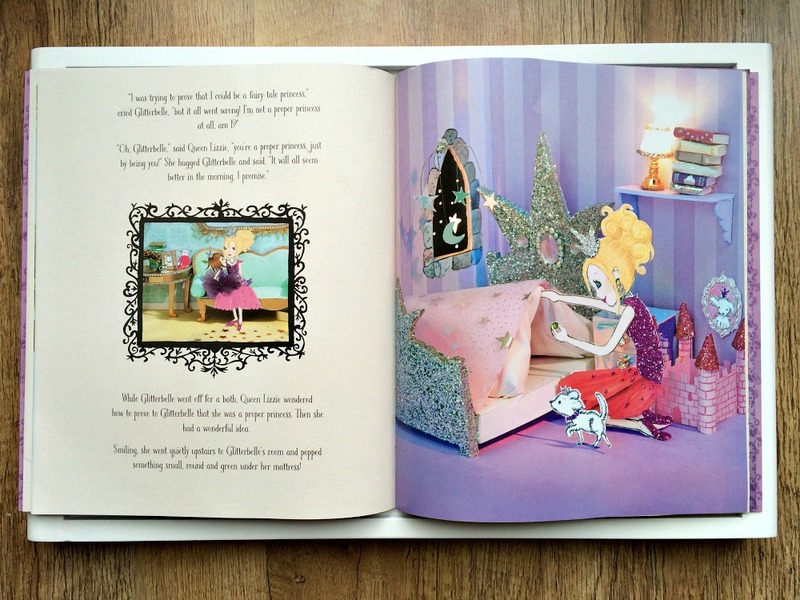 The colors really pop out from the pages and all that glitter almost makes it look 3D so the kids love making up their own version of the Sparkliest Princess Ever too. Why not? There is so much glitter on each page even I was in awe of it at first. It’s a great story line too. Gitterbelle with her two best friends, Dazzline and Angel love scooting around the palace and in the big garden together. Let’s not forget that furry friend Bob too with the sparkly tiara! 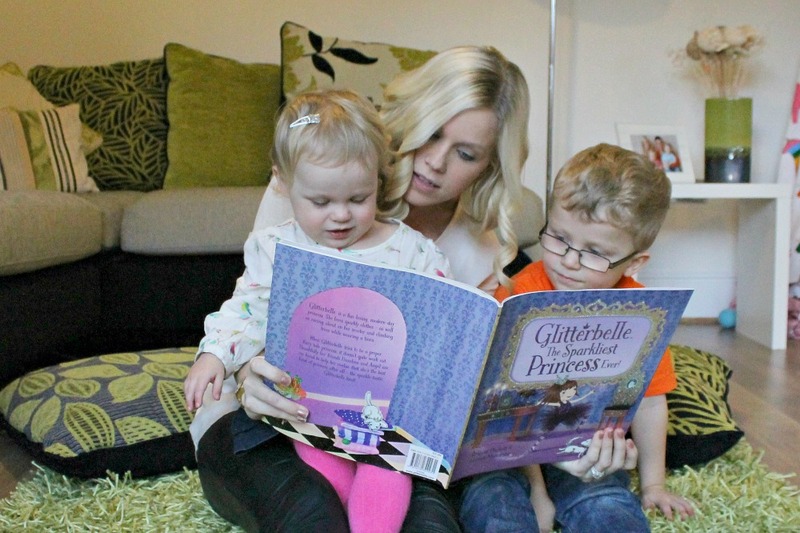 And the lovely story of being a true fairy tale princess and what it really means! As you can see below the kids are so engrossed in it they don’t even know I am taking photos. They are too involved in Glitterbelle in the bath with all her magical bubbles around her. I love that my two are bookworms like their parents. 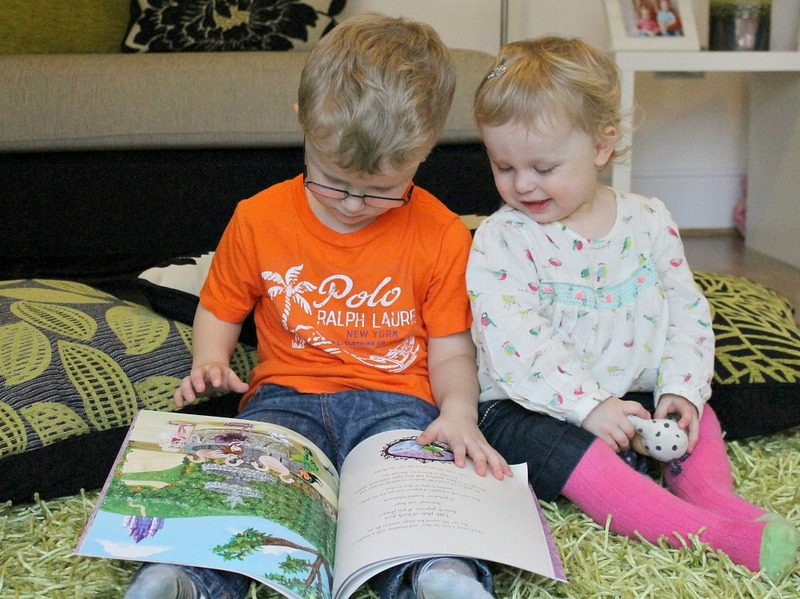 I love that they find adventure, magic and fun in story time with us or just the two of them together. I look forward to the time where Buba can actually read words on the pages to us all. 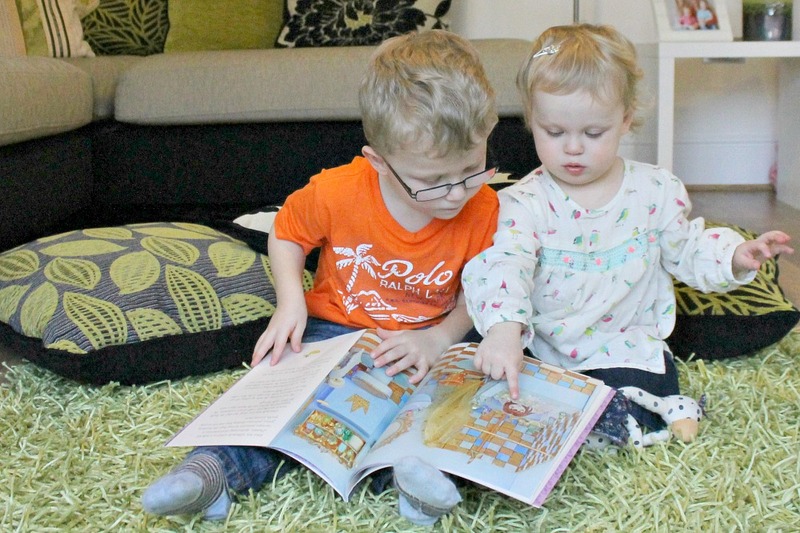 I think the journey of learning to read is great to be a part of with your children. Reading is so important and yet I think we need to teach them how fun it can be too! It’s not just homework from school. We always end our day with story time and the kids would be devastated if we had to miss it. I hope it always stays that way. I remember my mother reading me a bedtime story until I was old enough to read chapter books myself and I long continued into adulthood reading before bed myself. I did. It was a great change to the younger books we have as my two get older than need more to the story as do I! Win win. Thanks hunny. Thank you. Oh yes it’s a new favorite to read in our house. Lol it’s just fighting over who turns the pages faster!!! This looks like a book my daughter would love! It’s great that one of the fairies is wearing glasses too. You don’t see that in many childrens books. The illustrations were so impressive, I agree. It’s never too early to read big stories to them. Especially this one because even if they are too young for the story line the pictures are great to look at. Thanks hun. Aww that’s so sweet that they read it to each other. We’re huge bookworms in this house and I love our story time, whether it’s reading a book or a story from my head. And like you I hope that all of this reading at this age will pay off in a love of books when they get older and start learning to read – fingers crossed! Me too, huge fingers crossed. I love that they tell each other stories and read to each other it’s so cute. Thanks hun. That looks like a wonderful book. I love the illustration. Great photo’s too! Thanks jen for stopping by and commenting. The photos were funny because the kids totally were so engrossed in the story they ignored me. I love more candid photo shots. The book is fantastic. Cheap to buy too. My Chlo is into all things sparkle and fairy princess so I’ll definitely have to add this to my list! 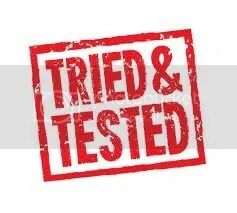 Thanks Colette, My reviews were really slow in January boo but hoping to have more coming in the next few weeks for triedandtested. Thanks for hosting.